The internet catalogue for students, teachers, administrators & parents. Over 20,000 relevant links personally selected by an educator/author with over 30 years of experience. I used to enjoy having my students find treasures from a map of the school that I created. Those were the days when I had them use compasses! 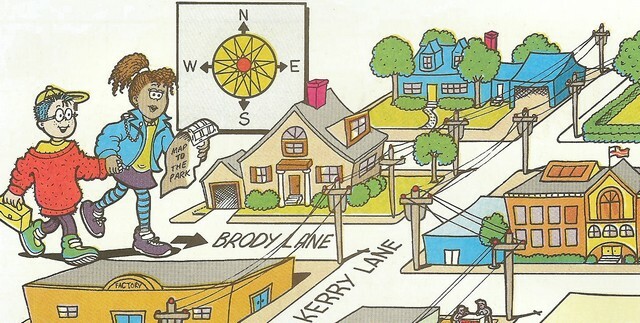 The map shown is from an educational booklet that I wrote and shows street where I used to live in New York. The signs are from a photograph I took while in Alaska.